Everton will hoping to end an 11-match winless run against their nearest rivals in the 225th Merseyside derby tomorrow. The Blues are without a win against the Reds since October 2010, and they will be desperate to end the five-year wait for victory. Roberto Martinez himself has three draws and one defeat against Liverpool during his reign as Everton boss, and the Spaniard wants to put a hold to derby mediocrity and turn the Toffees fortunes around. Roberto Martinez himself has three draws and one defeat against Liverpool during his reign as Everton boss. The Spaniard has a big call to make before kick off on Sunday, deciding on the fitness of defensive duo John Stones and Seamus Coleman. The pair would offer Everton a massive boost, should they be passed fit for the clash, however Martinez has admitted he’ll leave it until Sunday morning before making his decision. 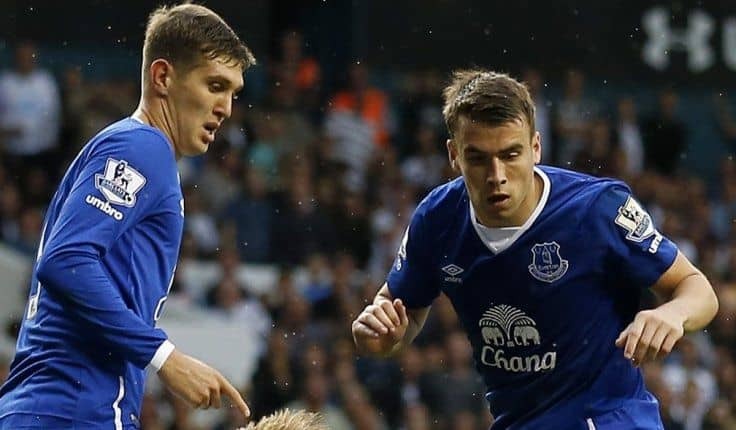 Stones and Coleman would offer Everton a massive boost, should they be passed fit for the clash. Elsewhere, the Toffees will be without long-term absentees Leighton Baines, Tom Cleverley, Tony Hibbert and Steven Pienaar, while Kevin Mirallas is serving the last of his three-match suspension. Midfielder Muhamed Besic is also set to miss out with a hamstring injury, although Bryan Oviedo has a chance of making the match day squad. On the other side of Stanley Park, Liverpool will be without Jordan Henderson, Roberto Firmino, Dejan Lovren, and Jon Flanagan. Christian Benteke will face a late fitness test on a hamstring complaint that has kept him out of the Reds’ last three matches. The summer departure of Steven Gerrard also means Liverpool are set to start the Merseyside derby without a scouser in their starting eleven, for the first time in Premier League history. Liverpool are set to start the Merseyside derby without a scouser in their starting eleven. The absence of Gerrard is a blessing for Evertonians as the ex-Liverpool skipper scored 10 times against the Blues and played a big part in the Reds recent derby success. 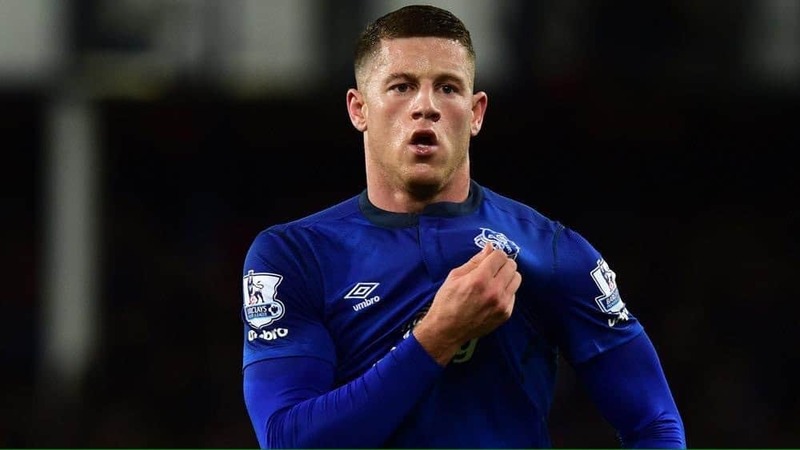 Everton will only be worried about themselves though and they have their own treasured scouser in Evertonian and academy graduate Ross Barkley. The Wavertree-born 21-year-old understands the importance of the derby more than most, being from the city, and he will be longing to give Blues across the world some much-needed derby cheer. The Wavertree-born 21-year-old understands the importance of the derby more than most. It’s one of the biggest matches in English football, and for the fans on Merseyside, it’s about much more than bragging rights and local pride, as the city divides for one day. The Merseyside derby has seen the most red cards in Premier League history, as the passion from the terraces is injected into the players. A sell-out Goodison crowd will be fired-up in the hope that the Blues can turn their good start into an excellent one and pile more misery onto the shoulders of Brendan Rodgers. When it comes to facing Liverpool though, Evertonians know all to well, to hope and not expect, as Everton’s below-par performances against the Reds are all too familiar. Captain Phil Jagielka insists the players do not have a mental block and reassured fans that the current-crop of Everton players will play without the derby-fear and go all out for the win. My Everton starting line-up: Howard; Coleman, Stones, Jagielka, Galloway; McCarthy, Barry; Kone, Barkley, Deulofeu; Lukaku.